Beetroot for horses: the secret weapon we've all been looking for? The New Year will have seen many of us ‘go on a health kick’ or try the latest diet trend. Pickled beetroot was a dinner time favourite in the 1970’s but more recently, this humble root vegetable has not only made a culinary comeback (beetroot brownie anyone? ), but has sparked increasing interest as a dietary supplement. So when it comes to feeding our horses, could beetroot really be the secret weapon we’ve all been looking for? In Roman times, beetroot was used as treatment for constipation and fever. In the last few decades, there has been increasing scientific interest in the role beetroot could play in a number of diseases including high blood pressure, heart disease, stroke and dementia. Some studies have also investigated the effect of beetroot supplements on exercise capacity. Beetroot is naturally high in nitrates, a compound made up of oxygen and nitrogen. Through a series of reactions within the body, nitrates are converted to nitric oxide. Nitric oxide causes the muscle cells in blood vessels to relax and widen (vasodilation) which in turn, improves blood flow and allows more oxygen rich blood to reach cells in the body. It is thought this may have a positive effect on a number of health conditions, particularly cardiovascular disease. Beetroot is also a rich source of antioxidants. In particular, the pigments responsible for giving beetroot its deep red/ purple colour (and turning your urine red if you over indulge!) are reported to have antioxidant and anti-inflammatory effects, raising interest in the potentially beneficial role beetroot could have in conditions such as liver disease, arthritis and even cancer. A number of studies investigating the effect of beetroot supplementation have produced promising results. Whilst this is certainly exciting, a great deal of research is still needed in order to fully understand the potential effects on health and disease. In 2018, Diego et al published a review of scientific research investing the effect of beetroot juice on high blood pressure. Although this review concluded that beetroot juice might be an easy, safe, evidence-based strategy for reducing blood pressure, only 11 studies met the search criteria for relevance and quality. The treatment protocols also varied significantly with dose rates ranging from 70-500ml day and the length of treatment ranging from a ‘one off’ dose to 6 weeks of supplementation. Whilst some studies evaluating the effect of beetroot on exercise capacity/ performance have also produced promising findings, there is still a long way to go until the potential effects are fully understood. 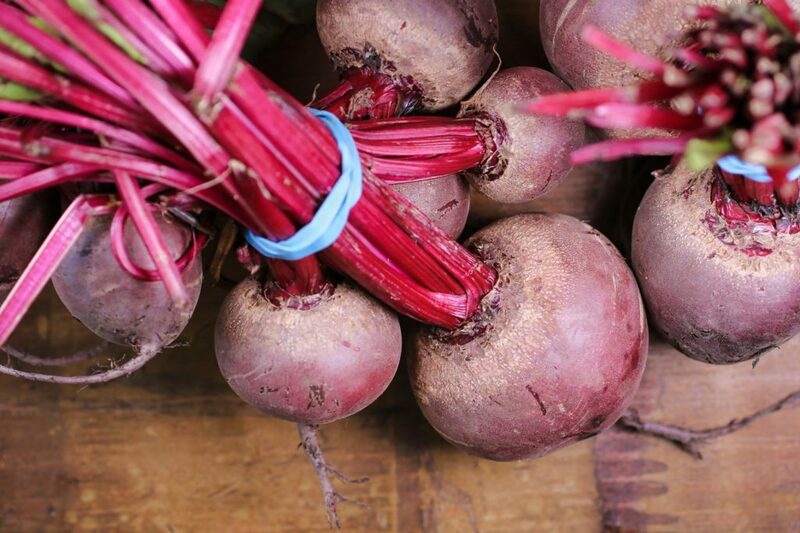 For people at least, beetroot seems to show some promise although there is still a long way to go before supplements could be recognised as an additional or replacement treatment for disease. Whether or not any of the potential benefits seen in humans may translate to horses is unknown, but if fed in small amounts or within feeds/ supplements produced by reputable manufacturers, beetroot is unlikely to cause any harm. As with any supplement be realistic about what you hope to achieve – if product claims sound too good to be true they probably are! If you compete at affiliated level ensure any feeds and supplements used are BETA NOPS approved. Have you fed beetroot to your horse? Share your thoughts in the comments section below! I grow beetroot every year. It is one of the few vegetables, that when offered to my horses and very greedy pony, they refuse to eat either the beet or leaf. I am a strong believer that animals know what is good for them. They do, however, eat small quantities of Hawthorne which is believed to be good for the heart. Hi, we moved to France about 15 years ago and initially my horses were at a livery ‘yard’ - very basic but the owner included hay and beetroot chucked whole and raw in the fields in the price ! My TB mare had zero idea what to do with it and nosed it around a bit but all the others woofed them up . We always grow loads of beetroot but I'd never considered it as a horse feed or treat. Now I want to try! Is it known to be safe? Can they eat the leaves as well? Over 60 years ago, when horses were fed oats, bran and chaff , the owner of a local riding school where I used to go, was also was a greengrocer, always had a boiler in action boiling beetroot. He delivered to local residents in a horse and cart. All the ponies and horses had at least 1 boiled beetroot in their feed a day . All his horses worked hard and were in good condition. I fed beetroot powder to my horse while he was ill and off his food. It did encourage him to eat his food. I can't really comment on its other effects as he was very ill with heart failure and on lots of other medications so difficult to tell what did what. I tried my horse on a mash that contained beetroot, he really liked it but it turned out to be expensive to feed esp with little proof of what effect it might have.